The video below contains some of the crucial free throws and drive to the basket that Andray Blatche of our Gilas Pilipinas made during the fight against Lebanon. 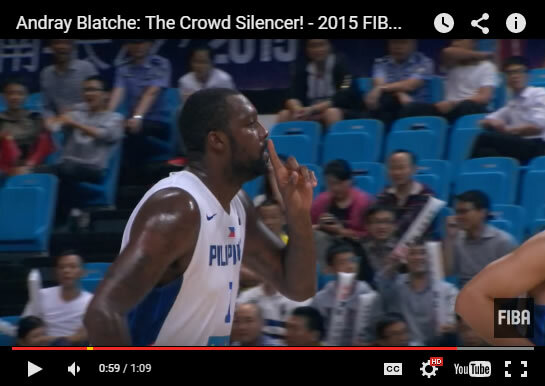 Andray Blatche told the Chinese crowd to quiet not once, not twice and trice but 4 times. See, how these booing crowd really fired him up and led Gilas win over the Lebanese team.